Whether it’s in the cockpit, on the battlefield, or in the operating room (OR), we would all agree that we want the A-team in place, especially when life is on the line. But what is it that makes these teams perform well while others, with seemingly similar skillsets, perform poorly? What’s the impact of how teams are led? Can top-notch leadership be reliably replicated? A group of researchers from Harvard University ventured into the cardiothoracic surgery operating room to try to answer some of these questions. The researchers started out by asking OR team members – including surgeons, surgeon trainees, anesthesiologists, nurses, technicians, and perfusionists – what they thought and found strong consensus even across different roles. Descriptions of ideal teamwork included images such as a “well-oiled machine” and being “on the same page,” such that the work “just flows” whereas those of bad teamwork emphasized disruption and fracture. However, despite a shared “mental model” of what good teamwork felt like, participants, particularly the surgeons, disagreed on which interpersonal behaviors – especially which leadership behaviors – actually made it happen. All team members recognized the need for direction – that is, for someone, usually the attending surgeon, to take charge when needed and to coordinate the group’s work. Some felt this gave surgeons the authority to be in charge at all times and to take a more authoritative approach to ensure mistakes weren’t made and that people learned how to perform under pressure. Many, however, favored a more inclusive style of leadership, which encouraged participation from non-surgeons and a less combative approach to acknowledging and learning from errors. To better understand how these interpersonal and leadership behaviors affected teamwork, the researchers went to the OR to observe for themselves. 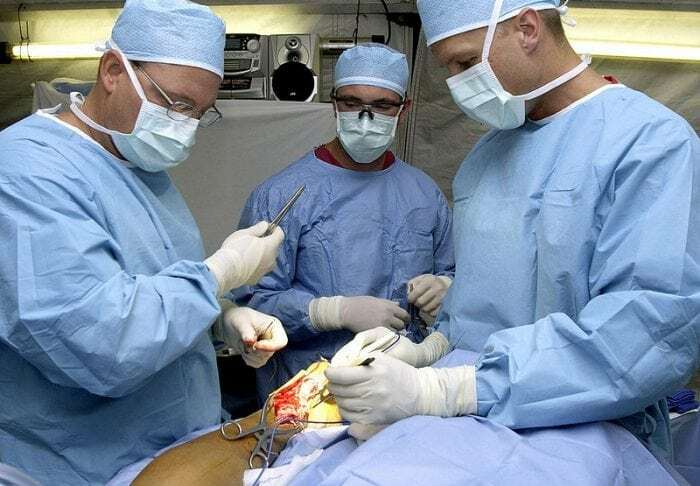 Doing their best to be unobtrusive, they recorded hundreds of hours of interactions between the attending surgeon (the de facto team leader) and his/her OR teammates during open heart surgery cases. Over time, they identified distinct communication patterns. Each pattern was named and given a valence denoting whether that form of communication generally had a positive, negative, or neutral effect on the team’s dynamics. Stepping back, the researchers saw that these communication patterns seemed to group according to the leadership function they served. For example, when the surgeon taught the surgical trainee about a technique or explained to the room his/her thought process behind a decision, he/she fulfilled the “elucidator” leadership role; when the surgeon provided reassurance or by contrast lashed out with frustration, he/she was setting the tone in the room (“tone setter”) – for better or for worse. The researchers went back to the OR team members, this time in the form of an anonymous survey asking each non-surgeon to evaluate on a scale of 1-7 the general performance of each of the surgeons as a team leader. This gave the researchers a barometer against which they could compare the specific communication patterns and leadership functions they had observed for each surgeon. Long story short, the researchers found that the more surgeons facilitated the engagement of their team members in the task at hand and the less they used destructive forms of criticism, the higher their rating for leadership. An OR typified by open communication and by the free and frequent sharing of information served both a practical function – enabling team members to effectively carry out and coordinate their tasks – and an expressive function, fostering a sense of inclusion, engagement, and encouragement. These researchers demonstrated to a level of statistical significance that certain types of communication were associated with better perceptions of team leadership (and thus better team dynamics). If so, why weren’t those types always being used? Could they be taught and adopted? Interventions to improve surgical teamwork and leadership have proliferated including nontechnical skills/team training, checklists, simulation, and structured communication protocols – largely targeting the “nontechnical” skillset of the frontline. Yet these interventions have shown mixed success. Triangulating between all three data sources now, the researchers identified factors that might explain the reason behind the mixed success. First, local organizational culture matters. For example, a history of authority gradients and ingrained hierarchy can normalize counterproductive behaviors as can the absence of formal disciplinary mechanisms. Second, case-related variables – such as case complexity, cognitive demand, patient acuity, and degree of urgency – and the personnel and personalities involved in that day’s procedure mean that the form of communication/leadership that is appropriate may vary even within a single case. Third, organizational structures and processes could either enable or prevent productive interactions. For example, frequent turnover, inconsistent call schedules, and considerations of training needs can limit the extent to which the same individuals consistently work together, which can create a sense of team instability and distrust. By contrast, the installation of overhead cameras pointing at the surgical field and large screens to show the footage around the room is an example of a supportive structure that can help every team member be “on the same page,” even if not directly involved in the action. Top-notch leadership can be reliably analyzed, understood, taught and replicated, making every team into an A-team, but not without carefully situating a set of validated and agreed-upon best practices within the idiosyncrasies of the local organizational and cultural context… Easier said than done. and Graduate School of Business. 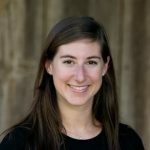 Juliana is a Research Assistant in the Health Policy and Management Department at the Harvard School of Public Health. Emma-Louise (‘Emmilie’) Aveling is a Research Scientist at the Harvard T.H. Chan School of Public Health in the Department of Health Policy and Management. She specializes in applied qualitative research in the fields of global public health and healthcare quality and safety. Her research focuses on the processes shaping the implementation and outcomes of health interventions and services in low- and high-income settings. She is particularly interested in community-based and partnership approaches to delivering high quality health services and interventions. After working in a number of non-governmental and social welfare organizations in the UK, Africa, Cambodia and Australia, Dr. Aveling decided to enter academic research. She trained in social, cultural and community psychology, ultimately earning a PhD in Social Psychology at the University of Cambridge. 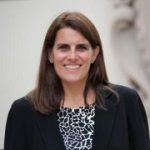 Dr. Aveling is currently Co-Principle Investigator of the Robert Wood Johnson Foundation – funded study, Business and Boston’s Health: Lessons from private–public–nonprofit collaboration. Through in-depth, qualitative case studies of Boston-based cross-sector initiatives targeting social determinants of health, this study aims to generate generalizable insights into the nature and mechanisms of effective cross-sector collaboration. This study is part the Harvard Culture of Health program. Dr. Aveling is a Visiting Research Fellow at The Healthcare Improvement Studies (THIS) Institute, University of Cambridge (UK) and has previously held visiting appointments at the National School of Public Health, Fiocruz (Rio de Janeiro, Brazil) and the Australian National University (Canberra, Australia). Thor Sundt, MD, is the Churchill Professor of Surgery, chief of the Division of Cardiac Surgery and director of the Corrigan Minehan Heart Center. Dr. Sundt's clinical focus has been on surgery for the correction of acquired cardiovascular conditions in adults. He is an internationally recognized thought-leader on thoracic aortic aneurysms and other aortic diseases, having written and lectured extensively on the subject. He is also widely recognized as an expert in reparative procedures for vascular heart conditions, including mitral regurgitation and aortic valve regurgitation. He has also contributed to the literature on the optimal use of arterial conduits to improve the long term durability of coronary bypass procedures. His research interests have ranged from organ transplantation to the genetics and genomics of bicuspid aortic valve disease. He has received funding by the National Institutes of Health, the American Association for Thoracic Surgery and The Mayo Foundation for this work. Most recently, he collaborated with investigators in the disciplines of human factors and systems engineering to improve the safety and efficiency of healthcare delivery. On a national level, he was the first chair of the Workforce on Patient Safety for the Society of Thoracic Surgeons. He is actively collaborating with members of the Mass General Physician Organization in the development of tools to enhance patient centered and shared decision making. Sara J. Singer, M.B.A., Ph.D., is a Professor of Medicine at the Stanford University School of Medicine and Professor by courtesy at the Stanford Graduate School of Business and Freeman Spogli Institute for International Studies. Her research in the field of health care management and policy focuses on how organizational leadership and culture impact efforts to implement health delivery innovations, integrate patient care, and improve safety and reliability of health care organizations. A key feature of this research is the development of survey instruments that measure provider and patient perspectives on key interpersonal and organizational factors, enabling benchmarking, rapid and reliable feedback about the effectiveness and comparative effectiveness of delivery system innovations, and broader dissemination of more successful interventions.